“The Kandyan jungle seemed so at peace just after dawn on that October morning in 1989. In the twisted thicket of palms, bamboo and bougainvillea that blanketed the hotel, a handful of iridescent parrots screeched cheery greetings to the first rays of sun as they splintered into a forest of prisms through the morning dew”. “A narrow ribbon of road cut through this ancient heart of Buddhism, deep inside a paradisiacal island so spectacular in its beauty it was once nicknamed Serendip. To the right, just five miles away from the hotel entrance, lay one of Buddhism’s holiest shrines of pilgrimage, the Temple of the Sacred Relic, with its gold cask containing the wisdom tooth of Lord Buddha”. “But we turned left that morning, and we hadn’t driven even a mile when we saw our first body–a headless corpse, hands bound behind its back, blocking the road like a fallen tree. A few hundred yards farther, there were three more, then two more, then four more, all with their heads neatly severed at the shoulders”. “The jungle road turned up then, into a rich, verdant hillside, and as we approached a bridge over a cascading waterfall, we found the severed heads. There were a dozen or so in all, each carefully placed at 10-foot intervals on the bridge culvert, like horrible mileposts to the civil war that has become Sri Lanka’s living nightmare”. “That night, in his modest home near the Temple of the Sacred Relic in downtown Kandy, one of the island’s parliamentarians spoke with quiet frustration of the trauma that this awful era has caused his island paradise and its 14 million people–“We wake up in the morning, and we know tomorrow will be worse than today”–and he tried to square the living death with the religion that had taught them from birth the sacredness of all life”. Shelton Ranaraja was the tormened soul whose agonized cries are recorded by Mcgowan in his book. The lawyer who represented Senkadagala constituency in the Sri Lankan Parliament for more than fifteen years was arguably the conscience –keeper of the Nation in his own modest way. The excerpts referring to Shelton Ranaraja bear testimony to this. “Shelly Aiya” as he was called by many passed away on August 11th 2011. Shelton Ranaraja was a courageous and principled politician for whom I have had the greatest respect. This article is intended to honour and pay tribute to his memory on the occasion of his fifth death anniversary. My regard and admiration for Shelton Ranaraja is mainly due to the fact that the former MP for Senkadagala and deputy minister for Justice was a courageous politician with enlightened principles. It is indeed a rare politician who is prepared to stand up against the majority of his or her political party for what one believes to be right.Shelton Ranaraja was such a person. It was my privilege in 1981 to witness what was perhaps the finest moment in the life of Shelton Ranaraja when he voted against the no confidence motion brought against then leader of the opposition Appapillai Amirthalingam.It was an inspiring display of principled courage. The United National Party led by Junius Richard Jayewardena swept the polls in July 1977 winning 141 of 168 seats. JR himself amended the constitution and became Sri Lanka’s first executive president in February 1978. In September 1978 a new Constitution was promulgated.With the Sri Lanka Freedom Party(SLFP)being reduced to a paltry eight seats, the Tamil United Liberation Front(TULF)having 18 seats became the chief opposition party. Appapillai Amirthalingam became leader of the opposition in 1977. The TULF had won the elections on a separatist platform. Naturally there was much friction between the ruling UNP and chief opposition TULF. There were many political confrontations.One such incident occurred in July 1981. The TULF gave notice in Parliament for a vote of no confidence against the government. The UNP regime retaliated by giving notice of a vote of no confidence against the leader of the opposition. This was an unprecedented development in the Parliamentary history of the Island.The proposal mooted by then Panadura MP Dr.Neville Fernando was signed by 36 UNP Parliamentarians. It was widely believed and subsequently confirmed by Dr.Fernando that the no confidence motion project had the approval of President Jayewardena himself. President Jayewardena was regarded as all powerful then. Although there were many decent,learned persons in the UNP parliamentary group none dared to defy the “almighty” JR. Hence the UNP to its eternal shame went along with what was perhaps an all time low in parliamentary annals.The no confidence motion by members of the govt against the leader of the opposition was taken up in Parliament on July 23rd and 24th 1981.What followed was high drama of a cheap variety. At the outset Amirthalingam wanted to explain his position and rose to his feet. Pandemonium erupted. Amirthalingam’s voice was drowned in a flood of choice epithets.Dr.Neville Fernando objected to Amirthalingam making a personal statement saying that he could do so only with the indulgence of the House. The speaker Bakeer Markar upheld Dr.Fernando’s objection and refused to let Amirthalingam speak. At this point the TULF walked out in protest. The speaker Bakeer Markar evaded the issue and said Senanayake’s point of order had been raised too late. Therefore he could not stop the no confidence motion being debated he said. The lone Communist party MP from Kalawana,Sarath Muttetuwegama chided the speaker saying that he was letting the Govt MP’s run Parliament. The SLFP and CP members also walked out in protest.Thus Sri Lanka witnessed the bizarre event of the Government conducting a solo performance of debating a no confidence motion against the leader of the opposition while the entire opposition had walked out in protest. No minister or deputy minister from the UNP spoke but the backbenchers had a field day. Then followed a disgusting relay of speeches by UNP parliamentarians uttering dire threats of punishment to Amirthalingam and other TULF traitor MP’s. Horsewhipping, shooting them on Galle face green, Tying up on a post and beating, mutilation, Dumping in the Beira lake were some of the modes of punishment advocated.The most bloodcurdling threat was about reviving an ancient form of punishment allegedly practiced by Sinhala kings in the past against traitors. The victim was to be tied by his two feet to two bent arecanut trees. When the ropes are cut the bent trees spring back upright. The victim would be torn apart. The only minister who spoke during that debate was Soumiyamoorthy Thondaman the minister of Rural industrial development in the JRJ regime. Thondaman speaking in his capacity as leader of the Ceylon Workers Congress(CWC) was very critical of the no confidence motion.He also uttered a prophetic warning that undermining Amirthalingam would pave the way for an extremist type of Tamil politics to emerge.Finally it was voting time on July 24th.Thondaman abstained. There were 121 votes supporting the no confidence motion. There was however one solitary vote against the motion. The man who voted against the UNP motion was none other than the honourable member for Senkadagala,Shelton Ranaraja. By doing so he not only demonstrated that he was an honourable person but also helped salvage a little bit of honour at least for his party. The “ginger group” of UNP backbenchers was annoyed and angry. All sorts of remarks like traitor and Tamil lover were made. One that still lingers in memory is the pun on his name. There were shouts of Shelton “Nadaraja”. The first four letters of his surname were being replaced by four others to make his name Tamil as “Nadaraja” instead of the Sinhala “Ranaraja”.Despite the catcalls,hoots and jeers Ranaraja did not flinch. In what was a rare exhibition of courage and principle he stood bravely against his party and voted against it, guided only by his conscience and conviction. The stature and image of Shelton Ranaraja went up in the eyes of all decent people in Sri Lanka after the Opposition leader no confidence motion episode. The Tamils in particular were elated. To the end of his days, Shelton Ranaraja always enjoyed wide popularity among the Tamil people. Although Shelton Ranaraja was not left –leaning in his political beliefs, his image and prestige in the eyes of Tamils was comparable to that of the Trotskyite Edmund Samarakkody and his comrade Merril Fernando. Ranaraja also entertained many visitors from the North at his Kandy residence after this. Shelton Ranaraja’s father Punchi Banda Ranaraja was a land owner who took to politics and the law. Shelton’s father PB Ranaraja contested State Council elections from the Galagedara constituency during British rule. He first contested the 1931 elections challenging the formidable P. B. Nugawela Dissawe.PB Ranaraja lost the election by 1055 votes. At the by election held for Galagedara in 1934, PB Ranaraja was successful and won with a majority of 2199. He was however defeated again at the 1936 State Council elections. EA Nugawela with 13,574 votes was the winner with a huge majority of 8515 . PB Ranaraja got only 5959 votes. PB Ranaraja tried his hand at electoral politics again after Sri Lanka then known as Ceylon gained independence from the British. He contested on the UNP ticket from Dambulla at the 1952 elections. He lost getting only 2897 votes. Thereafter he gave up electoral politics but served two terms as a UNP nominated Senator in the upper house. Interestingly PB Ranaraja took up legal studies late in life and qualified as a lawyer. 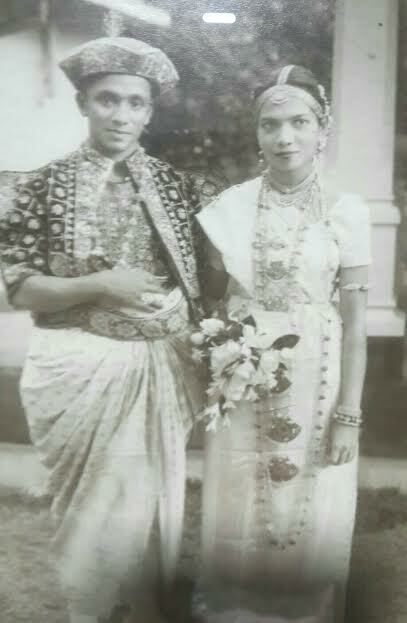 In what is perhaps a unique record both Punchi Banda Ranaraja and his son Shelton Ranaraja took their oaths as lawyers together in 1949. The father as an advocate and the son as a proctor. PB Ranaraja’s son Shelton was born on November 3, 1926, at Ranwala in Kegalle. Shelton Ranaraja was a distinguished alumnus of Trinity College,Kandy and St.Thomas’ College Mt.Lavinia (with a stint at STC Gurutalawa I believe). He was an outstanding sportsman at College and was a coloursman in Athletics, Cricket,Boxing and Swimming. Shelton played in the 1945 Royal- Thomian. He also came first in the 400 metres event known as the 440 yard race in those days at the Public schools sports meet. Shelton continued to play Cricket when he entered Law College and captained the team.He was a stylish batsman but was capable of wielding the willow like a cudgel when necessary. In short a “polladiya”. He continued to play cricket for a long time while at Kandy. He played in the local tournaments even when he was in his fifties. Once he scored a century after notching up half a century in years.Shelton Ranaraja was the captain of the Kandy Lawyers Cricket eleven for many, many years. He also held the posts of Central Province Cricket Association president and Kandy district Cricket association president for several years. In later life he turned to Golf from Cricket. 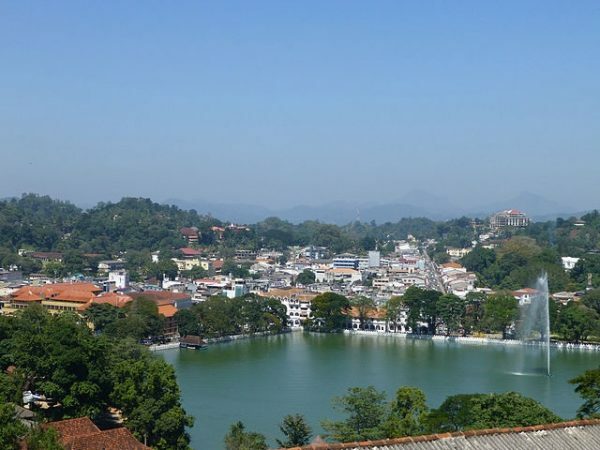 During the twilight of his life he kept fit by walking around the picturesque Kandy lake. One of Kandy’s landmarks is the Bogambara stadium. There was a time when the rise of crass commercialism threatened its future as an arena for sports. It was Shelton Ranaraja who saved the stadium for sports by opposing it being used for carnivals and tamashas. Preventing the “carnivalisation” of Bogambara enabled it to be developed as a full fledged sports stadium. 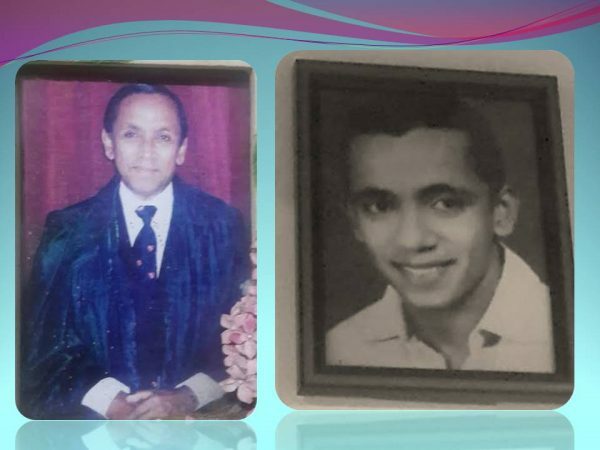 After passing out from Law College, Shelton Ranaraja established a successful legal practice in Kandy.Shelton Ranaraja was well-known for his sartorial elegance, He was regarded as the most smartly dressed lawyer in Kandy. Shelton’s faithful office clerk or “Liyanamahathaya” Simon was a familiar figure in Kandy. He was called “Kota Simon ‘ on account of his height and was like Shelton’s shadow. Shelton’s foray int Parliamentary politics came in 1960 when he was elected MP of the newly carved out Senkadagala constituency. 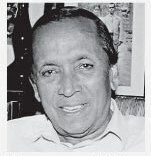 Although his family circle was staunchly UNP, Shelton contested on the SLFP ticket in the July 1960 elections thus incurring the displeasure of several relatives. Noel Wimalasena of the UNP had won the March 1960 Poll. The July 1960 election was a straight fight between Wimalasena of the UNP and Ranaraja of the SLFP. Ranaraja squeaked through with a low majority of 25 votes. He obtained 6100 votes while Wimalasena got 6075 votes.Initially Ranaraja had a majority of 30 votes. Subsequently a challenge was mounted leading to a recount of votes.Shelton managed to retain his seat after the recount also but his majority had decreased by 5 from 30 to 25. 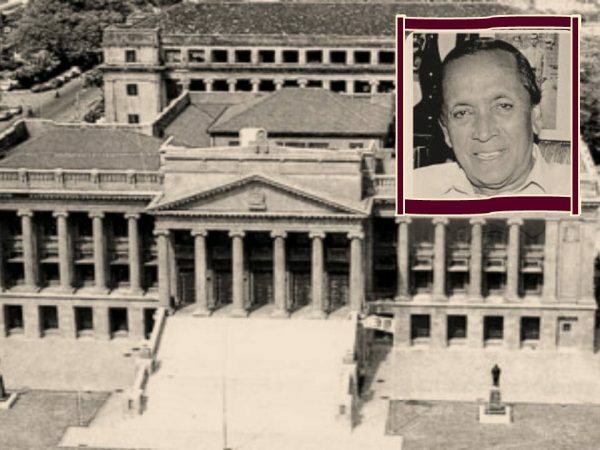 A liberal democrat to the core, Shelton Ranaraja was most unhappy with the SLFP –LSSP govt’s attempt to muzzle the press by taking over Lake House in 1964 december. CP de Silva conspired with a group of 14 SLFP MP’s to cross over to the opposition and vote against the bill.Shelton was not among these 14 MP’s from the govt of Mrs.Bandaranaike who voted against the press takeover. Instead of conspiring beforehand or crossing over to the other side, Shelton Ranaraja dropped a bombshell by remaining on the treasury benches and voting against the bill. The bill was defeated by one vote leading to dissolution of Parliament and fresh elections in 1965. Shelton Ranaraja along with the other MP’s who voted against were expelled from the SLFP. 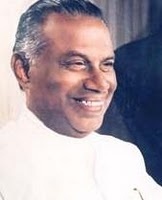 Shelton was appointed deputy minister of justice first under KW Devanayagam as minister and later under Nissanka Wijeratne.Though Shelton Ranaraja was of cabinet minister material, it is suspected that JR Jayewardene was wary of including him as a Govt minister because the Senkadagala MP was an uncontrollable maverick who only listened to the call of his conscience. Shelton however served as Acting Justice minister on several occasions. 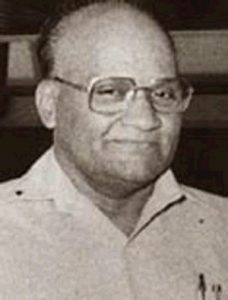 When the July 1983 anti – Tamil violence occurred Ranaraja acted with forethought and got all the thugs and hoodlums in Kandy locked up by the Police.Kandy enjoyed some tranquility initially even as Colombo was burning.Sadly Ranaraja’s orders were countermanded by the powerful minister of Industries and Scientific affairs Cyril Mathew.Dubbed as the “Industrious minister of anti-Tamil affairs”Mathew got all those locked up by Ranaraja released. Within hours Kandy too started burning.A distraught Ranaraja lamented on this situation to journalists later blaming Mathew. The twin massacres of 52 Tamil political detenues at Welikade on July 25th (35) and July 27th (17) concerned the Justice ministry directly as the prisons dept was under its purview. When efforts were underway by the defence establishment to do away with the bodies , the Justice ministry intervened and enabled judicial inquests to be held. Deputy minister Shelton Ranaraja and Justice ministry secretary Mervyn Wijesinghe were greatly instrumental in this. The Tamil political prisoners were transferred to Batticaloa after the July pogrom. There the bulk of political detenues escaped in a mass break out in September 1983. After this escape, there was strong pressure on the Justice minister Nissanka Wijeratne to resign and for Shelton Ranaraja to replace him. But Shelton refused to do so on a matter of principle. The LTTE attack on the sacred Bo tree and massacre of civilians in Anuradhapura on May 14th 1985 resulted in widespread anger and fear in many parts of the Country. A delegation of Sinhala citizens went to Shelton Ranaraja and urged that the Tamils in Kandy be expelled as a precaution. Shelton refused point blank and candidly told them that their duty was to protect the Tamil minority living amidst them instead of driving them away. The 1987 Indo-Lanka accord and the ushering in of “peace” was welcomed by Shelton Ranaraja. A lull in violence prevailed between July 29th to October 10th 1987. Shelton Ranaraja despite being a member of the govt got involved in a mission of goodwill to the North from the South.A group of Sinhala persons mainly consisting of medical personnel undertook a peace and reconciliation mission to Jaffna in September 1987. Among those in this mission were Dr. Sunil Ratnapriya of the GMOA, Fr. Yohan Devananda of “Devasarana” in Ibbagamuwe and of course Deputy justice minister Shelton Ranaraja in his private capacity. “Permission” to visit Jaffna was sought and obtained from the Liberation Tigers of Tamil Eelam(LTTE) then ruling the roost in the peninsula. I vividly recall the “permission” being given personally by Gopalaswamy Mahendraraja alias “Mahattaya” the deputy leader of the LTTE at that time.This Sinhala goodwill delegation comprised people who recognized the tragic plight of the Tamil people and supported the justice of the Tamil cause. Their mission to the north was to establish better understanding and amity with the Tamil people. Yet they had a nasty experience in Jaffna. The fast unto death campaign by Rasiah Parthiban alias Thileepan had commenced. While the “Gandhian” fast went on in Nalloor elsewhere there were many incidents of friction where the LTTE was trying to provoke the Sri Lankan Police and army into unleashing retaliatory violence.The Southern delegation was able to see this first –hand when they were travelling through areas like Valvettithurai,Paruthithurai and Nelliaddy in the Vadamaratchy division. There were occasions when their lives were exposed to danger. But the worst was yet to come. The delegation returned to Colombo in two vehicles. They passed through several LTTE checkposts along the Jaffna –Kandy road or A-9 highway. An LTTE vehicle kept following them at a distance.The LTTE vehicle overtook them shortly after they passed Pallai. When the Southern group reached Iyakkachchi about four miles away from Elephant Pass they found the tiger vehicle parked by the side of the road. About six LTTE cadres with Firearms and grenades stopped themThe passengers were ordered to get out with a few being pulled out roughly. Then the tigers took over both vehicles with things inside and turned back towards Jaffna. The Southern goodwill mission had to walk two miles on the road towards Elephant pass. Then a south bound bus stopped and they got in and reached the Elephant pass army camp safely. Shelton Ranaraja was deeply affected by this incident. When I spoke to him about this he appeared to be very sad but not very angry or embittered. But his impression of the LTTE as a disciplined movement fighting for freedom had been shattered. He was also deeply dislllusioned about the prospects for a lasting peace.It was this perhaps which led to his declining an offer to be the first governor of the temporarily merged North –Eastern province under the Indo – Lanka accord. A.Amirthalingam and R.Sampanthan of the TULF had recommended him to President Jayewardena who consented to the suggestion. But when JR asked Shelton he refused the offer. 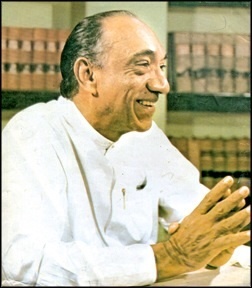 The presidency of JR Jayewardene came to an end in 1988.he was succeeded by Ranasinghe Premadasa. Parliamentary elections under the new proportional representation scheme were scheduled for early 1989. The UNP hierarchy insisted that those seeking nomination on the party ticket should send in applications to be appointed as organizers of an electoral division. Shelton Ranaraja protested saying it was degrading and an insult for an incumbent MP to do so.Premadasa contacted Ranaraja and asked him to apply like all the other sitting MP’s. Shelton however refused to relent. As a result he did not contest the 1989 polls. It may be of interest to note that only Shelton Ranaraja of Senkadagala, Dr. Ranjan Atapattu of Beliatte and PC Imbulana of Ruwanwella were the only 3 UNP Parliamentarians elected in 1977 who did not avail themselves of the facility to import duty free vehicles for their use. Shelton Ranaraja retired from active political life thereafter . He devoted his time to his family of wife and five daughters and to law, cricket and social service. He devoted much of his time for social work and free legal aid. In 2001 Shelton served in the panel of the Human Rights Commission in Kandy without receiving any payment. He inquired into over 100 complaints within a period of eight months but when he discovered that recommendations made after the inquiry were not being implemented, he resigned from this panel. Shelton Ranaraja took a backseat after retiring from active politics and began supporting his wife Chandra in playing a pivotal role in Kandy politics. Chandra Ranaraja nee Mahadiulwewa hailed from Mahadiulwewa in the Anuradhapura district. She came from a UNP family. Her father SH Mahadiulwewa contested the Kalawewa electorate on the UNP ticket and was elected MP in 1947 and 1952. Chandra Mahadiulwewa entered the Peradeniya University and graduated in 1961. As an undergrad she identified with the pro – UNP democratic socialist group known as “Demsocs”. She was teaching at Holy Cross in Anuradhapura when she married Shelton Ranaraja. He was then the SLFP Senkadagala MP. After marriage she relocated to Kandy and taught at Kandy Girls High school. The nickname for her among students was “Visakha”. Chandra gave up teaching after the birth of their five children. The Ranarajas had five daughters- Premila, Aruni, Siromi, Shamila and Anjali. Siromi and Shamila were twins. The “fair and lovely” Ranaraja girls were the toast of Kandy in their youth. The young bucks dubbed them “five golden flowers”. 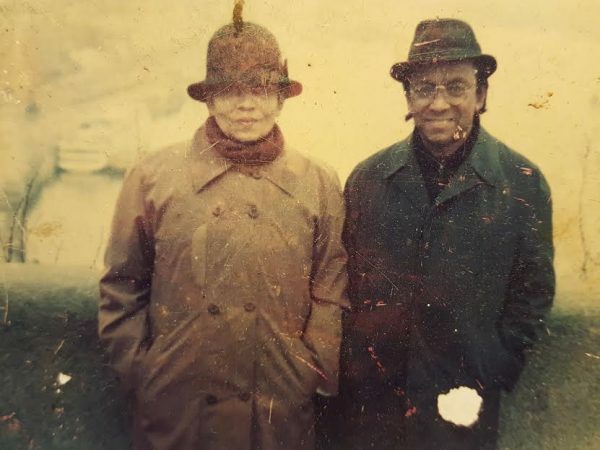 Shelton and Chandra doted on their daughters.Chandra Ranaraja who actively canvassed for her husband in the 1977 hustings began to get involved in Kandy municipal politics after their children grew up. 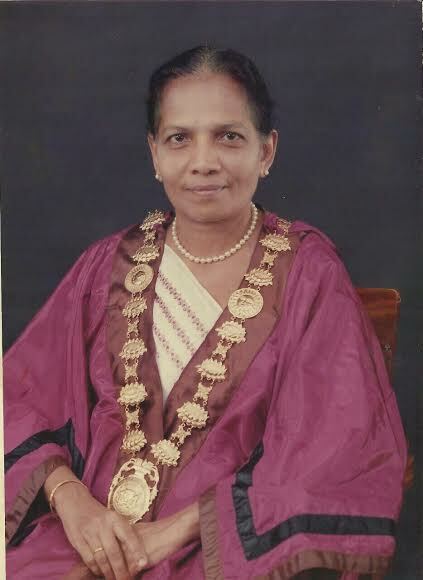 She served as municipal councillor, Deputy – mayor and then finally became Kandy’s first woman Mayor. Chandra Ranaraja was also a member of the UNP working committee. She passed away in March this year. Shelton Ranaraja was strongly supportive of his wife in her political career. He retired as a lawyer in 1999 after practising for 50 years at the bar. He devoted his life to social service in Kandy thereafter. Shelton Ranaraja loved his hometown Kandy. He was fond of sitting on the balcony at his home and gaze upon the panoramic view of the town with its lake and the temple of the tooth. In the evenings he would walk with the aid of a walking stick around the Kandy lake clad in pair of boxer shorts, tee-shirt and a hat. He also sported a pony – tail. As the years progressed Shelton Ranaraja’s health too regressed. He was afflicted with cancer which affected him steadily. There came a stage when he would lament “I won the 440 yard race those days but now I cant walk even 10 yards”. Even as death drew nearer all members of his family – daughters, sons –in – law and grandchildren gathered at his residence. They were all by his bedside in a private hospital as Shelton spoke to each one. Finally he called out to his wife Chandra, held her hand and whispered softly”Amma, I need to go”. Those were the last words of Shelton Ranaraja. He passed away on August 11th, 2011 at the age of 85. The earthly remains of Shelton Ranaraja’s lay at his residence in Rajapihilla mawatte, Kandy. The cremation took place on August 13th at Mahaiyawa. Large crowds paid their respects to this man of the people. Five years have passed since the demise of Shelton Ranaraja .His death has taken away from Sri Lanka a distinguished member of a dwindling species –Principled political leaders. It is a tragic loss for the Country in general and the Tamils in particular because those of his calibre and courage desiring inter-racial justice and ethnic amity are becoming a rare commodity in the country.Shelton Ranaraja was indeed the conscience –keeper of the nation.As for me I shall always remember that day in Parliament on July 24th 1981 when Shelton Ranaraja stood alone with quiet dignity against the UNP juggernaut and acted courageously according to his conscience and conviction.